We recently used Kickstarter to successfully launch our project Li’l Stories, and we’d like to share our own story of how the crowdfunding platform became an important part of our design process—and how it may point the way to a new kind of publishing. Like many designers, we’ve dreamed up ideas for more projects than we know what to do with—products that were never realized because we had no idea of how we could find the funding to get them off the ground. Kickstarter is a remarkable crowdsourcing platform that helps you find backers for your creative projects. Along the way it helps you shape the marketing for your product, as well as your plans for fabrication and distribution. Best of all, it allows you to get to know the people who back your project—your potential customers—who become an important part of the process and have a rooting interest in your project’s success. Kickstarter and other crowdfunding sites like Quirky and Indiegogo are creating a kind of “indie capitalism” that allows users to financially support the products they want to see get made. Since its launch in 2009, Kickstarter has helped authors, inventors, musicians, artists, designers, dancers, and filmmakers find the money to create everything from books, albums, movies and video games to furniture, fashion, art, performances, and more. In 2012 alone more than 2.2 million people pledged $320 million to successfully back 18,109 projects on Kickstarter. 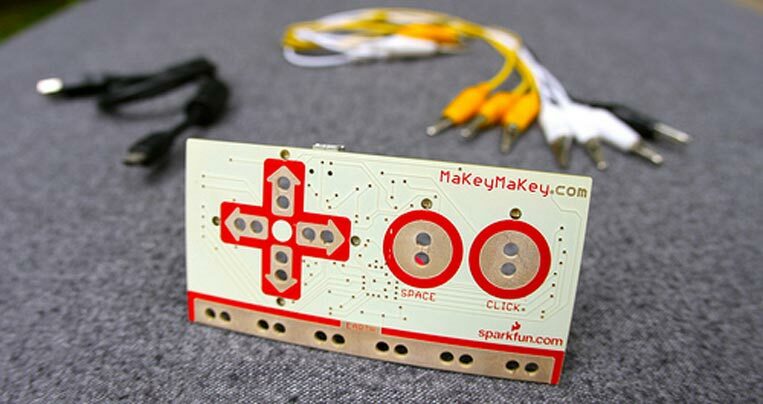 Among the platform’s “greatest hits” are MaKey MaKey, a circuit board that turns anything into a computer mouse; Pebble, a line of watches that synch with your smartphone; and the upcoming big-screen adaptation of the TV show “Veronica Mars,” which raised an incredible $5.7 million from fans, $3.7 million more than the original goal. 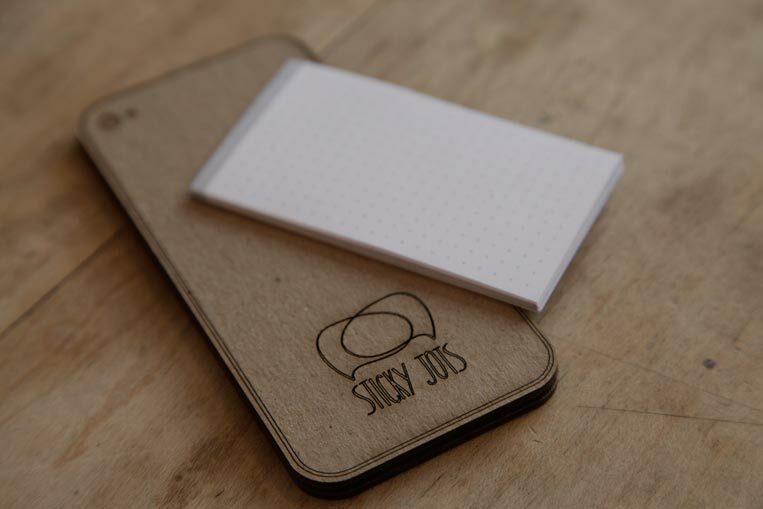 Our favorite current project may be Sticky Jots, amazing storytelling tools for designers created by Rae Milne and Pam Jue—the original funding goal was $2,500, and the project finished 193 percent funded. One of the exciting things about Kickstarter is one never really knows which projects will take off and capture funders’ imaginations. Crowdfunding is changing the way people are thinking about publishing their own work, giving them a risk free way to see if a product has a market or audience. Users don’t need to spend a lot of money to try out an idea, and if the project doesn’t reach its full funding, backers aren’t charged. All at once, users can potentially fund, market and publicize their projects. Our own project Li’l Stories is a series of cards created by Li’l Robin founder Anke Stohlmann and her husband Richard Baker, inspired by their daughter Luna. 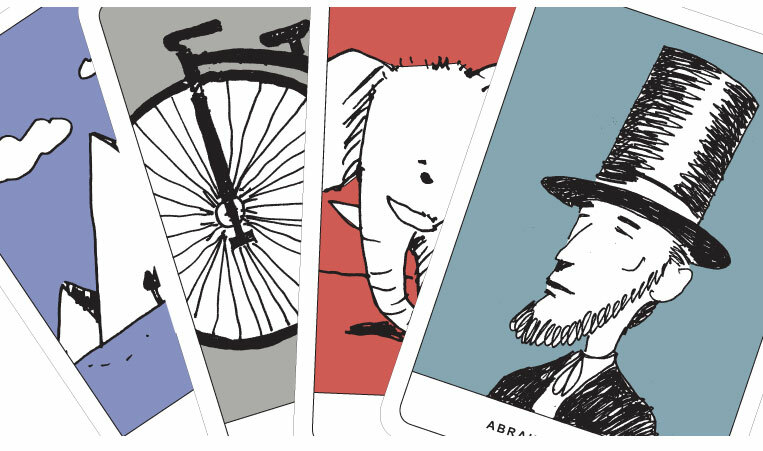 The cards are designed to give parents ideas for stories to tell to their kids, and consist of four sets with different elements—characters (people and animals), locations, and objects—that provide the ingredients of a good story. The project is very personal to us, and this sense of connection helped make it ideal for the interactive platform of Kickstarter. Crowdfunding is also about telling stories—sharing ideas with an audience—and Kickstarter felt like a natural fit for our storytelling tool. We originally conceived of the Li’l Stories idea about two years ago, but at the time, we didn’t want the risk of taking out a loan for the printing costs. We considered printing the cards ourselves and hand-cutting the corners—what designer doesn’t know their way around an X-ACTO blade?—but we soon realized this was not realistic. The more we heard about Kickstarter, the more we thought it might be the way to raise money for our project. Almost as important as its fund-raising capabilities, using Kickstarter gave us the opportunity to test our concept in the market, to find the proper price point and to get a sense of what people respond to. It also instantly gave us a platform for finding potential consumers, and to create a marketing campaign that would build an audience. Kickstarter offers great resources for honing your idea and getting started. We also consulted Studio Neat’s e-book It Will Be Exhilarating, about their experience using Kickstarter to launch two products. This Shopify article was also useful. It’s good to look at successfully funded projects, but it’s just as helpful to look at projects that didn’t make their goal, to get a sense of what doesn’t work. First we had to set our funding goal. We knew how much it would cost to print the cards, and used this as a guide, keeping in mind the 5 percent fee for Kickstarter, the 3 to 5 percent processing fee for Amazon Payments, and the eventual cost of shipping. We gave ourselves a short window to reach our goal—only a month, to see if it could really work. An important part of a Kickstarter project is the reward, the souvenir of support that helps funders feel they have a stake in the project. For Li’l Stories, we saved a last card in each set to be adopted by a supporter who would have the opportunity to select the featured theme. (Our backer Jackie picked Petra for the location set, while Rae chose Beatrix Potter for the group of characters.) We had to figure out the right price for the rewards—for a project like ours, the cost per unit goes down the more cards get printed, so the more backers, the better. The different sets of cards presented a lot of options for various reward levels, and asking our supporters to contribute their own ideas for cards gave us a catchy way to get them involved in the project. We were able to test the themes of the cards, to see which sets were more popular and appealed to our backers. Of course, once a project is up on Kickstarter, you still need to get the attention of backers. This forced us to think about different marketing approaches and to explore the project from a different angle. Building on Richard’s illustrations for the cards, we created a visual identity and cohesive look and feel for Li’l Stories as a brand. Video is an important component of most Kickstarter campaigns, giving users the opportunity to make a personal appeal. Rather than film ourselves talking, we animated our story using Richard’s illustrations, showcasing the playful quality of Li’l Stories. For the email updates to remind people of the project, we created a series of short videos that told short stories inspired by the cards, demonstrating their use. What was Lincoln doing at the pyramids with an elephant? 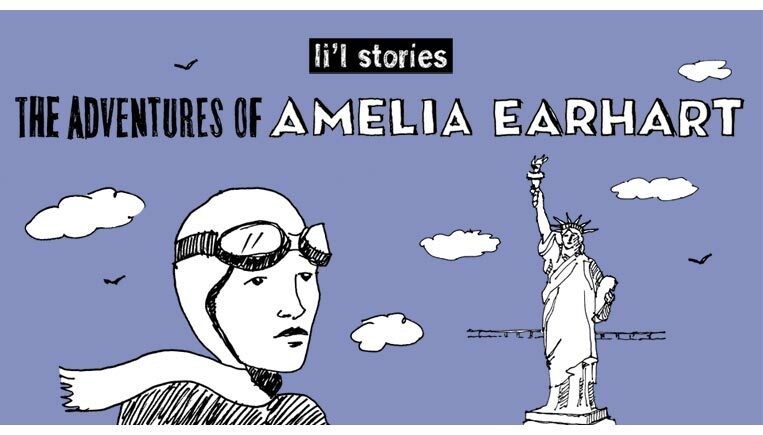 What did Amelia Earhart see at the Statue of Liberty? We sent these updates out to our entire mailing list and also posted updates on Twitter, Facebook, Pinterest and other social media (something we’ve always wanted to do more of). We also pitched the project to bloggers who cover subjects like educational toys, parenting and children. Most importantly, we’re thrilled to see the first product created by Li’l Robin become a success, and to use the process of crowdfunding to share it with you. If you’d like to know more about Li’l Stories, please visit us at lilstories.co.